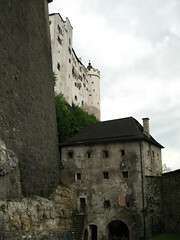 Entry to the castle is included in the Salzburg Card. 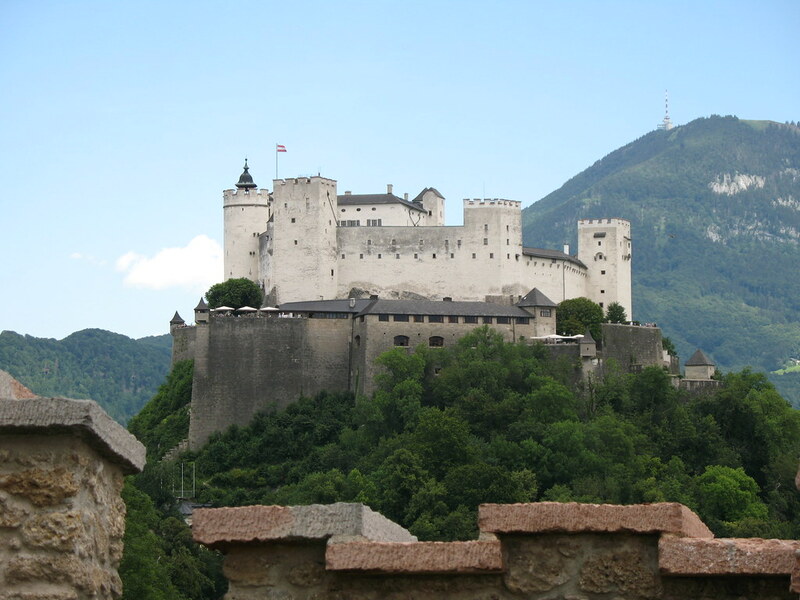 The Festung Hohensalzburg (High Fortress of Salzburg) sits above the city of Salzburg making it the most recognizable feature in the city. 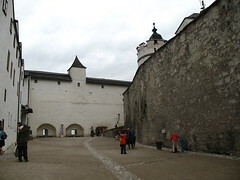 With a length of over 250m, it is one of the largest medieval castles in Europe. 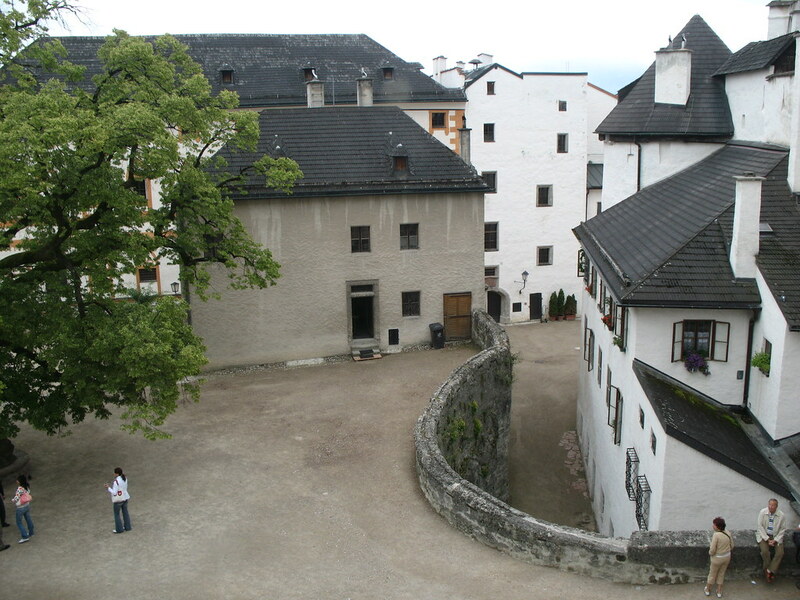 The castle was built by the reigning Prince Gebhard I von Helffenstein in 1077. During Festung Hohensalzburg's long history, it has never been serious damaged or captured in a battle. 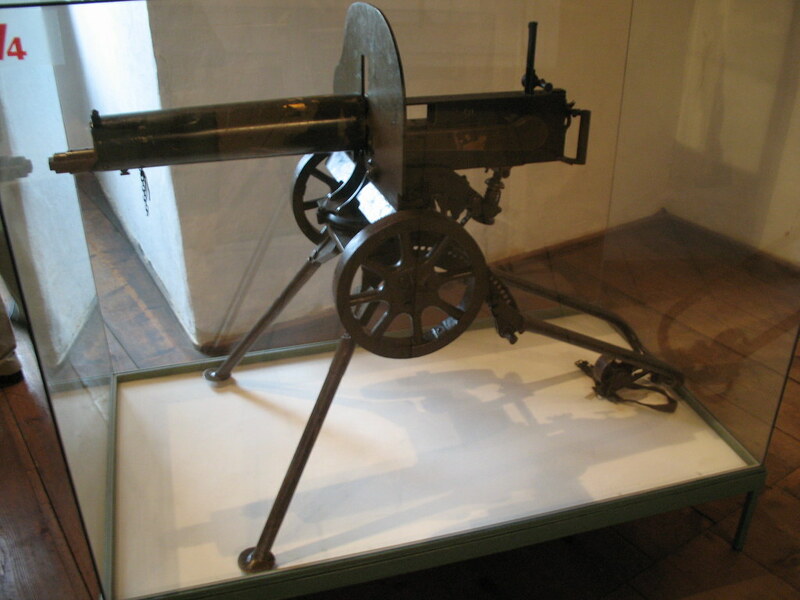 The only time that the castle came under fire in fact, was during the Peasants War, when a number of towns folk managed to get control of a cannon in the city itself and fire upon the castle. The damage of this blast can still be seen today. 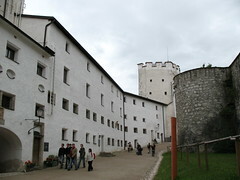 Because of the castle's lack of battle experience, it is one of the best preserved fortresses in Europe. 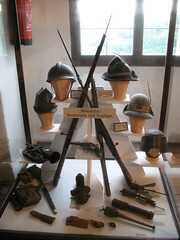 Inside the castle, there are a number of exhibits that can be visited. 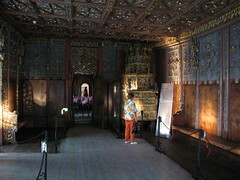 For a small cost, it is possible to purchase an audio guide (in 8 different languages) which conducts the tour automatically. Normally it takes visitors about 30 minutes to view the grounds of the castle and a further 90 minutes for the inside of the castle. 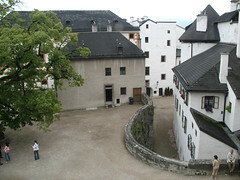 Inside the castle, there are three main sections to visit. 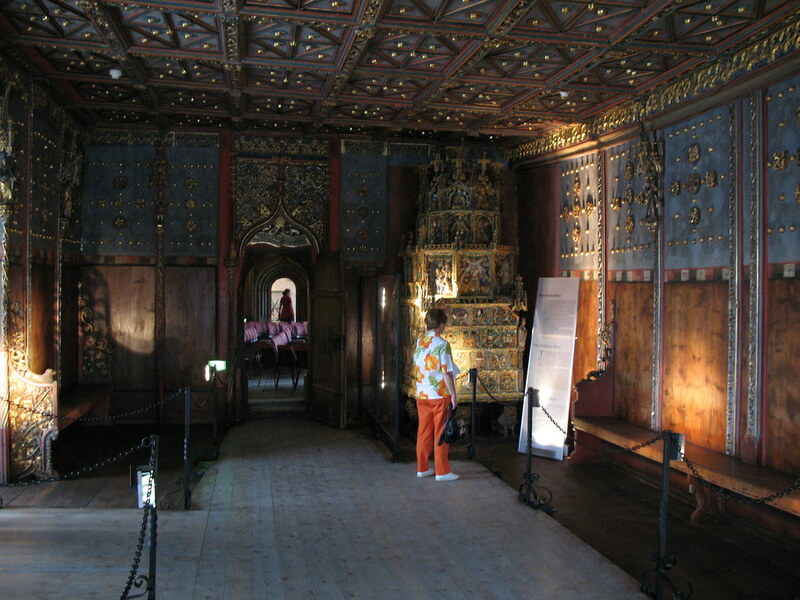 Firstly, the dungeons and chambers of the castle, which hold historic relics relating to the castle's history. 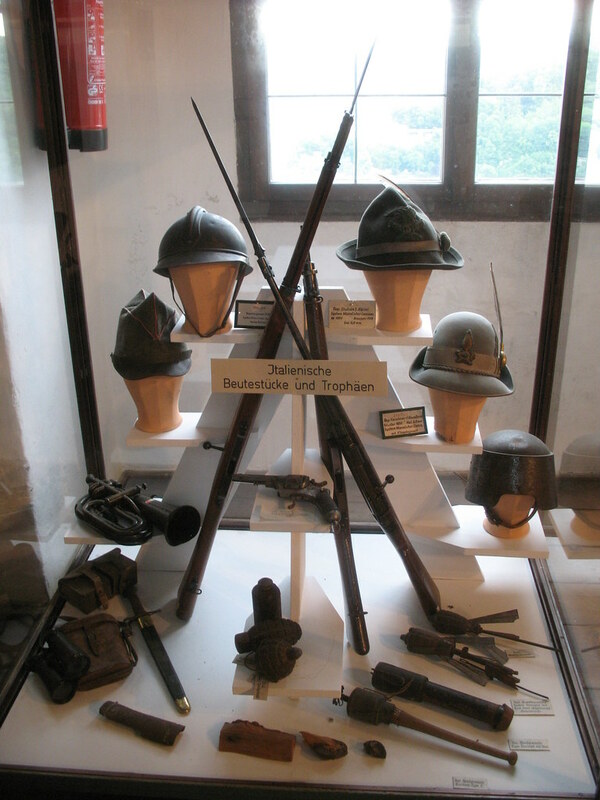 Then there is the Rainer Regiment Museum which holds momentos of Archduke Rainer's infantry division that was housed in the castle in the 1800s. 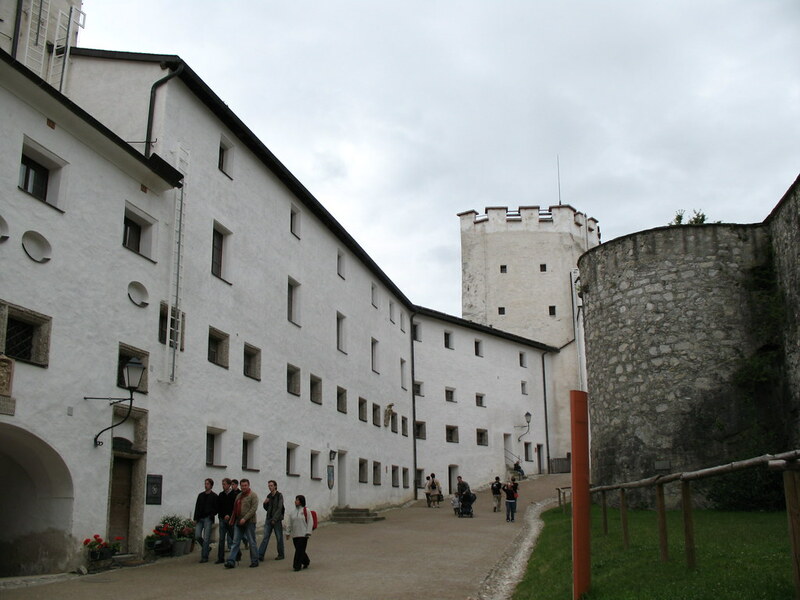 Finally there is the Marionette Museum which gives visitors a view on the world of string puppets from the Salzburg Marionette Theatre collection. There are also two restaurants in the castle, the Festungsrestaurant and the Burgschenke. Both give great views over Salzburg while eating. The Fortress is one of the best places to visit first when arriving in Salzburg. It gives fantastic views over the city center, and gives an understanding of where everything is in the city. It is possible to walk to the castle from the town below in about 15 minutes or to use the funicular railway, built in the 19th century which arrives at the top in under one minute. 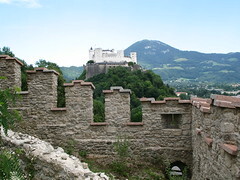 This attraction is included on the Salzburg card. This card is well worth buying even if only visiting Salzburg for a short length of time. 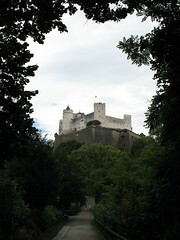 It allows entry into almost all attractions in Salzburg, as well as use of the city's public transport. 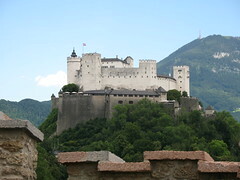 Like has already been said, you have to see the fortress when you're in Salzburg. We did this first, and it really set the foundation for our trip. This is a MUST SEE feature of Salzburg, made even more stunning when the weather is clear. I don\'t know what\'s better -the history or the sweeping views of the city. Have you already visited the Salzburg Fortress (Festung Hohensalzburg)? If so, let everyone know what you thought about it by writing a review! No registration necessary. Just click here to start writing! View all Salzburg Fortress (Festung Hohensalzburg) Pictures.